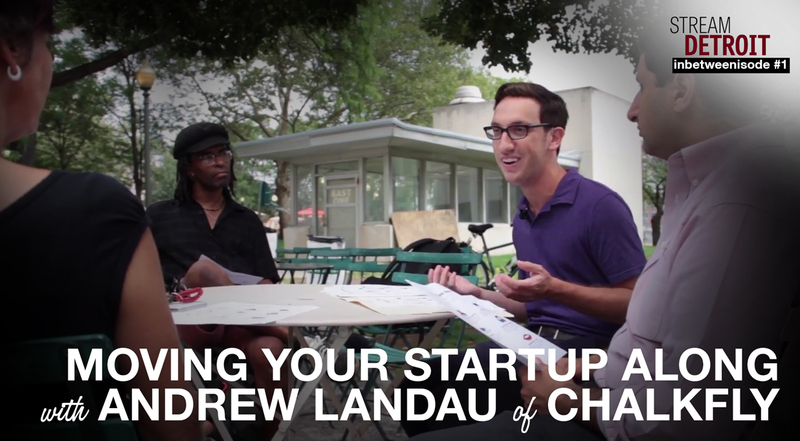 We sat down with Andrew Landau, co-founder of Chalkfly, in Grand Circus Park and listened to him talk about Chalkfly, having a big vision and turning it into a successful startup. Andrew put together a number of steps which defines Chalkfly’s success that any entrepreneur can apply to their own business and lists them in this TechTalk. Ranked by Business Insider as one of the top 15 startups to work for in the country and top 10 brands to watch in America, Chalkfly is “a homegrown Detroit success story” that’s well on their way to becoming the Amazon of school and office supplies. Putting Chalkfly’s accolades aside, they’ve given back over $50,000 and have helped over 200,000 students in getting free school supplies. To top it all off, Chalkfly has only been in business for 2 years! They’re doing amazing work and we at Stream Detroit really respect them for their talents and contributions. At its earliest stages, Chalkfly started out with only Andrew and his brother Ryan. Today, Chalkfly has a team of 23 who each instill the core values that made Chalkfly among the best young companies to work for in 2013. Join us for this short yet fascinating episode of Stream Detroit and watch/hear Andrew speak in complete confidence about what makes his startup tick and why you’d be silly not implementing some of the same practices in your own work.